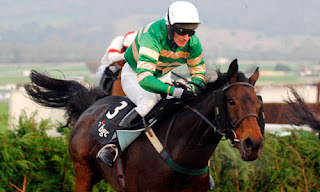 The Hennessy Gold Cup, run over 3 miles 2 furlongs at Newbury, is the first major staying chase of the season and, often, a bona fide trial for the Cheltenham Gold Cup. Fittingly, the race doesn’t have a habit of throwing up long-priced winners and doesn’t feature too many horses that can be written off completely. In fact, a handicap rating of 139 required to make it into the 17-strong field this year, so not even the complete ‘rag’, Al Co (100/1) can be totally discounted. Splash Of Ginge (50/1) completely lost his way last season after winning a competitive chase, over 2 miles 5 furlongs, at Cheltenham on New Year’s Day, but offered signs of encouragement when seventh of 20, beaten 11½ lengths, behind Annacotty in the Paddy Power Gold Cup at Cheltenham two weeks ago. Nigel Twiston-Davies’ 7-year-old has yet to race, never mind win, beyond 2 miles 5 furlongs over fences, but has winning form on good to soft, soft and heavy going. He remains 4lb higher in the weights than at Cheltenham, but talented conditional jockey Jamie Bargary takes off 5lb so, if he stays, he could run well above expectations. Fox Appeal (50/1) won twice over 3 miles over hurdles and appears to have improved a little for steeping up to 3 miles, and beyond, over fences. 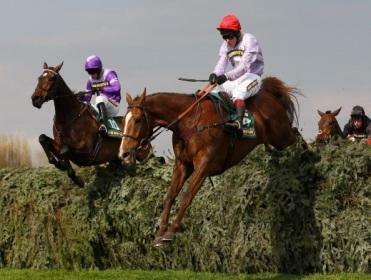 While his placed form at Cheltenham and Ascot doesn’t suggest that he’s readymade winner-in-waiting, the step up to 3 miles 2 furlongs on soft going could be the making of him and the bookmakers may have seriously underestimated his chance. Emma Lavelle traditionally does well at this time of year, so the son of St. Leger winner Brian Boru could be cause for further celebration by the Hampshire trainer. Nigel Twiston-Davies’ other entry, Benbens (40/1), is obviously no spring chicken at the age of ten, but has winning form over 3 miles 1 furlong on soft going and is only 5lb higher in the weights than when winning at Aintree in October, so appeals as another who’s overpriced. He’ll need a career-best effort to win, but that’s by no means out of the question, having won with something in hand at Aintree. 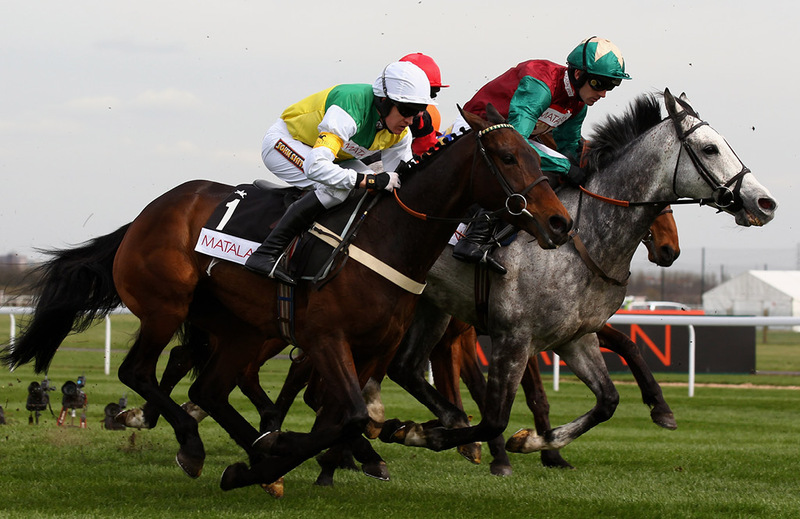 The Paddy Power Gold Cup is the first major handicap chase of the season but, despite its competitive nature, hasn’t thrown up many long-priced winners in recent years. However, history is, as they say, in the past, so we’ve continued undaunted in our quest for a few that we think could go well at rewarding odds. The first one that jumps off the page is Malcolm Jefferson’s progressive 7-year-old Oscar Rock, who can be backed at 16/1 in a couple of places. The son of high-class jumps stallion Oscar has only had five starts over fences, but travelled beautifully and won as he pleased on his seasonal debut at Market Rasen 7 weeks ago. He’s only finished outside the first three once in 13 completed starts, acts on any ground and looks excellent value to defy an 8lb rise in the weights. Darna (25/1) has been off the course since April, but had been absent for over two years prior to winning on his seasonal debut at Sedgefield last November, so probably doesn’t take much preparation. Kim Bailey’s 9-year-old is closely handicapped with Monetaire and Buywise on their running at the Cheltenham Festival last March, but is twice the price of either of his rivals, so looks good value-for-money. He has an excellent wins-to-runs ratio and appears best fresh, so his price is something of a mystery. For a horse that’s never won beyond 2 miles 5 furlongs, Double Ross (20/1) ran an eye-catching race over 3 miles at Ascot two weeks ago, running on under pressure from the second last to take second place once the race was effectively over. The son of Double Eclipse hasn’t won for a while, but back at a more suitable distance on a track where he’s won three times in the past he could surprise a few better-fancied rivals. The TurfTV Handicap (4.20) at Newmarket on Saturday is less prestigious than the races we typically examine in this column, but larger fields on the Flat and going changes increase the likelihood of ‘surprise’ winners at this time of year, so it looks an ideal contest for us. Popeswood appears to be a difficult horse to catch right, to which his career record of two wins from 23 starts bears testament, but both those wins came over 7 furlongs with cut in the ground and he’s well handicapped on the pick of his juvenile form. In fact, he’s 3lb lower in the weights than when winning, in this grade, at Goodwood last October, so would appear to have every chance if anywhere near his best. Of course, that’s a big “if”, because he’s not looked a readymade winner-in-waiting on recent starts, but he popped at Goodwood after a couple of indifferent efforts and could do so again. Piceno is on a losing run of seventeen stretching back to a year ago last April, but is consequently just 1lb higher in the weights than when winning a 0-75 contest, over 7 furlongs on soft going, at Catterick and is another who’d have a squeak on the pick of his form. He’s been off the course since April, which is an obvious cause for concern, but he’d earlier run creditably in defeat over 7 furlongs at Catterick, including in a 0-90 contest, so it wouldn’t be a complete surprise if he went well off a 1lb lower mark. Robert Winston doesn’t have too many rides for David O’Meara, but has a very healthy 4-16 (25%) strike rate for the Nawton trainer over the last five seasons, rising to 3-7 (43%) on older horses for the yard in the same period. His booking for Zacynthus, who only joined O’Meara in July, is one reason that the 7-year-old is a must for our shortlist. The Iffraaj gelding was only beaten 1½ lengths in a 0-90 contest at Ayr on his penultimate start and, although beaten out of sight at York last time, has an obvious chance off a 1lb higher mark. The Betdaq.com 2% Commission Handicap (2.35) at Doncaster looks to have every chance of throwing up a ‘surprise’ winner, so we’ve cast an eye over a few less-obvious candidates for the £28,012.50 first prize money. Course and distance winner Robot Boy looked set for another decent season when winning a 0-110 contest, off a handicap mark of 103, at Newbury back in April, but has failed to add to his winning tally in eight subsequent starts and finish stone cold last over 6 furlongs at York two weeks ago. Nevertheless, he’s undeniably well handicapped, well drawn and should appreciate dropping back to the minimum trip if anywhere near his best. Desert Ace won three times during his 3-year-old season, but he’s another who’s paid for his success and is winless in nine subsequent starts. However, the handicap has dropped him 7lb since the start of the season, such that he’s 2lb lower in the weights than when winning at Goodwood at around this time last year. He seems versatile with regard to underfoot conditions and could provide a notable Saturday winner for Hayley Turner, who hangs up her riding boots at the end of the season. Pearl Acclaim is another who’s dropped back close to his last winning mark, insofar as he’s just 1lb higher in the weights than when winning at Musselburgh in the summer. He probably doesn’t want any rain, but ran a little better than his finishing position suggests at Catterick a week ago and could pop up at a ‘silly’ price. Good luck! The Racing Post/SIS Betting Manager Handicap (3.10) at Doncaster on Friday, a 6-furlong contest featuring 22 runners, gives us something to work with and, as usual, we’ve highlighted a couple that we think could go well at rewarding odds. Jamaica Bolt has failed to trouble the judge in five outings this term, but is consequently 1lb lower in the weights than when winning this race last year, on the prevailing good to soft going, so must be of interest once again. The Pivotal gelding is 3-31 on turf, which probably tells you all you need to know about, but is clearly capable enough on his day. Stall 1 is less than ideal, but he has everything lese in his favour and it would be unwise to right him off on the basis of an unfavourable track position alone. 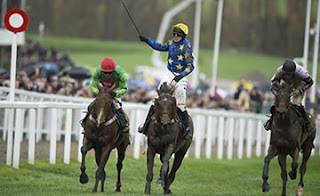 Last year’s sixth, Mass Rally, is 14lb lower in the weights than last year and, consequently, 10lb better off for the 3½ lengths he finished behind Jamaica Bolt, which should be enough to reverse the form, particularly as he’s better drawn than his old rival, in stall 12, on this occasion. He’s on a losing run of 20, stretching back two seasons, so clearly comes with risks attached, but has been there or thereabouts on recent starts and certainly wouldn’t be winning out of turn. 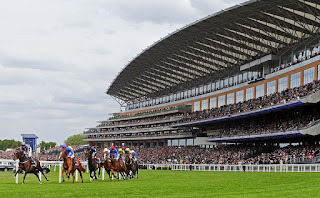 The Balmoral Handicap, nowadays run over the straight mile used for the Royal Hunt Cup at Ascot, has only been contested once in its current guise, but is the most valuable race of its kind in Europe and, as such, is fiercely competitive. As ever, we’ve run a rule over the 23-strong field and come up with a few that may have been overlooked by the bookmakers. Down among the dead men, so to speak, Donncha (25/1) has run well on both starts at Ascot and is just 1lb higher in the weights than when third, beaten 1¼ lengths, in the Gigaset International Stakes over 7 furlongs in July, so must be of interest from a handicapping perspective. The Captain Marvellous colt won over an extended mile, on soft going, at Windsor at around this time last year and is entitled to improve for his run in the Cambridgeshire three weeks ago, so he has plenty going for him. Balty Boys (20/1) is closely handicapped with Donncha on their running in the Gigaset International Stakes and, although 4lb higher in the weights, went on to win the Group 3 Betfred.com Superior Mile, on good to soft going, at Haydock next time. He was below par on his first attempt on Polytrack at Chelmsford three weeks ago but, while consistency is not necessarily his strong suit, he’s another who looks overpriced. Professor (25/1) has yet to win beyond 7 furlongs, but has shaped on recent starts as if a mile is what he needs at this stage of his career and rain-softened ground shouldn’t hinder his chance. He’s 8lb better off for the 5 lengths he finished behind Buckstay in the Totescoop6 Challenge Cup, over 7 furlongs, last time and, while that shouldn’t strictly be enough for him to turn the tables, an extra furlong might be enough to make the difference. Here we go again, in search of untold wealth for a relatively small outlay, with our three against the field, in no particular order, Donncha (25/1 with Boylesports and William Hill), Balty Boys (20/1 with Sky Bet, Boylesports and Stan James) and Professor (25/1 generally available). Good luck! We could hardly say that a 34-runner handicap, over 2 miles 2 furlongs, is an answer to our prayers, but the Cesarewitch Handicap does, at least, provide us with another opportunity for some wild speculation at fancy prices. Two favourites may have won the race in the last ten years, but they were accompanied by winners at 66/1 (twice), 50/1, 25/1, 16/1, 14/1 and 10/1 (twice), so we have no qualms about dabbling in the ‘wrong’ end of the market. A little surprisingly, Sir Mark Prescott has yet to win a Cesarewitch, but attempts to set the record straight by saddling four runners this year. However, stable jockey Luke Morris has plumped for Moscato (25/1) and we see no reason to argue with him. The Hernando gelding has 7¼ lengths to find with Low Key on their running in the Cesarewitch Trial over course and distance three weeks ago, but is 4lb better off with that rival this time and should improve for that run, his first since May. Wordiness (40/1) is 3-3 under Silvestre De Sousa, who once again takes the ride, so it would be folly to leave David Evans’ 7-year-old out of calculations. All four of his career wins on turf have come with “firm” in the going description, so connections will be doing a sun dance between now and Saturday afternoon, but the weather at Headquarters is set fair for the rest of the week, so his chance may improve day by day. Bernard Llewellyn could surely have found Norab (50/1) an easier assignment on his first run for the yard (and his first since May), so the fact that he’s throwing the Galileo gelding in at the deep end may be a hint worth taking. Regular readers will remember that Jospeh Tuite pulled off a similar feat with 33/1 chance Litigant in the Betfred Ebor at York in August so, despite disappointing on his last two starts for Marco Botti, he’s another that you write off at your peril, especially with drying ground in his favour. It’s probably possible to make a convincing case for at least 25 of the 34 runners but, for richer for poorer, our three against the field are, in no particular order, Moscato (25/1), Wordiness (40/1) and Norab (50/1). Good luck! The Vision Old Rowley Cup (3.45) at Newmarket on Friday may not throw up any “Future Champions” but does, at least, allow us to have a crack at a 16-runner, 3-year-old handicap featuring several unexposed types. The one we really like is Al, a Halling colt trained by Luca Cumani. 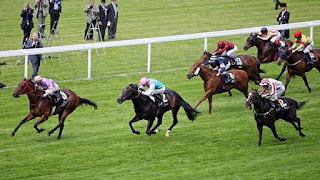 He was far from disgraced when seventh of 18, beaten 4½ lengths, behind Polarisation on his first attempt over 1 mile 6 furlongs at York in August, but may be better judged on his 7-length defeat of Deep Blue Diamond over 1 mile 4 furlongs on the July Course at Newmarket the previous month. He remains 12lb higher in the weights, but his York form suggests he’s far from impossibly handicapped and he can resume winning ways. Silvestre De Sousa has ridden three winners from eight rides for Luca Cumani during the last five seasons, so his booking can only be viewed as a positive. In fact, in the time it’s taken to write this article, Al has shortened from 14/1 to 12/1, so we’re increasingly confident that we’re barking up the right tree. The Totescoop6 Challenge Cup (3.45), run over 7 furlongs at Ascot, is the betting highlight of the Autumn Meeting at the Berkshire track. With a maximum field of 18 runners, it’s disappointing that just two are on offer at odds longer than 25/1 in the ante post market but, as ever, if you’re backing our selections, it’s worth having a look at what’s available on the betting exchanges, such as Betfair. Jallota (20/1) remains 6lb higher in the weights than when winning at York in June, but has held his form well and is better off at the weights with recent conquerors Rene Mathis and Mr Win, so shouldn’t be underestimated. He’s hardly a prolific winner – to which his career record of two wins from 26 starts bears testament – but appears versatile with regard to underfoot conditions and again ran highly creditably in defeat when fourth of nine, beaten 1½ lengths, behind Hathal in the Dubai Duty Free Cup at Newbury last time. Oisin Murphy rode Intransigent (20/1) to win this race, off a 4lb lower mark, last year, but this time opts for Gabriel’s Lad (14/1), whom he rode for the first time when sixth of nine, beaten 3¼ lengths, Dubai Duty Free Cup at Newbury. Strictly speaking, Denis Coakley’s 6-year-old is only 1lb better off for the 1½ lengths he finished behind Jallota on that occasion, but was having just his second run back after more than a year off, so can be expected to strip fitter this time. He’s just 2lb higher in the weights than when convincingly winning the Victoria Cup, over course and distance, last season, so has an obvious chance if anywhere near his best. Intransigent (20/1) is on a losing run of nine, but is consequently just 4lb higher in the weights than when beating old rival Empire Storm (33/1) by 1½ lengths in this race last year and, with Kieran Shoemark taking off 5lb, has fair prospects once again. The Trans Island gelding has won on good to soft, good and good to firm going, so shouldn’t be hindered by drying conditions in the South East and is well drawn, in stall 16, in his bid to repeat last year’s victory. The pronounced bias towards horses drawn low, on the inside, over 5 furlongs at Beverley is well known to punters and bookmakers alike and invariably influences the betting on the Beverley Bullet Sprint Stakes. In fact, the eleven winners of the race so far were drawn 1, 2, 1, 9, 2, 4, 1, 9, 8, 7 and 6 so, while it seems obvious that we should concentrate on horses drawn in single figures, we may struggle to find selections that are anything but realistically priced. Similar comments apply to Tangerine Trees (25/1), who won this race and the Prix de l’Abbaye de Longchamp as a six-year-old, but has officially deteriorated by 17lb since those halcyon days and is hard to fancy. He did manage to beat fellow veteran Borderlescott, on advantageous terms, in a small conditions race at Ayr in April, but his more recent form is less inspiring. Of the others drawn in single figures, Line Of Reason (6/1), Maarek (5/1), Alben Star (6/1) and Dikta Del Mar (10/1) don’t fall into the ‘outsider’ category so, we’re left with Holley Shiftwell (14/1), Red Pike (12/1) and Cordial (25/1). All three of them have work to do to beat the principals on official ratings but, while he’s raced just once (without success) over 5 furlongs, Red Pike has a decent strike rate for a sprinter and has plenty of winning form over 6 furlongs on the prevailing good going. He’ll probably need a career-best effort to win but, in a race where the market leaders look far from ‘bomb-proof’, he’s our tentative selection. The EBF & Sir Henry Cecil Galtres Stakes (4.20) at York on Saturday is highly competitive, but Jordan Princess may be able to supplement her win in the Newsells Park Stud Stakes at Newmarket two starts ago. The Cape Cross filly carries a 4lb penalty for that success, but should be suited by dropping back to 1 mile 4 furlongs after a creditable effort in defeat when third of fourteen, beaten 4 lengths, behind Simple Verse in the Markel Insurance Fillies’ Stakes, over 1 mile 6 furlongs, at Goodwood three weeks ago. Luca Cumani’s 4-year-old won her maiden on soft ground as a 2-year-old and ran well enough, when fourth of ten, beaten 2 lengths, behind Lady Tiana in the Bet365 Lancashire Oaks, on good to soft going, three starts ago, to suggest that slower going won’t unnecessarily hinder her chance. The Newmarket trainer has drawn a blank with six runners on the Knavesmire so far this season, but his record of 12-59 (20%) over the last five seasons, for a level stakes profit of 29.50 points is far more encouraging. Jordan Princess looks decent value at 8/1 with Paddy Power in the very early price lists. The Stewards’ Cup, run over 6 furlongs, is the betting highlight on the fifth and final day of what is now known as the Qatar Goodwood Festival. A maximum field of 28 runners is set to face the starter on Saturday and, as usual, we’ve selected a few that we think could go well at generous odds. The first of them, Poyle Vinnie (16/1), did us a favour when making all in the Scottish Stewards’ Cup at Hamilton fifteen days ago and still looks reasonably treated under a 6lb penalty. The Piccolo gelding has officially improved by 34lb since the start of last season but, judged on his Hamilton effort, may not have finished improving just yet. He’s won on soft, good and good to firm going, so shouldn’t be inconvenienced by drying conditions at the West Sussex track between now and Saturday and he’s not badly drawn to execute his usual front-running tactics in stall 4. 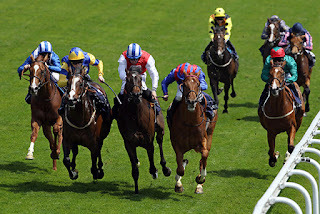 Basil Berry (33/1) finished seventh, beaten 5½ lengths, in the Wokingham Stakes at Royal Ascot and ran to a similar level of form, despite being denied a clear run in the closing stages, in a 0-100 contest over 7 furlongs at Haydock four weeks ago. He’s only 2lb higher in the weights than when winning in 0-95 company at Ascot in May, has the services of Silvestre De Sousa, who’s 2-4 on him, and is drawn in the range of stalls that has produced eight of the last ten winners of the Stewards’ Cup. So far, we’ve selected one drawn low and one drawn in the middle, so it makes some sense to have one drawn high as well. Fortunately enough, our third and final selection, Related (18/1), is drawn right on the stands’ side in stall 24. 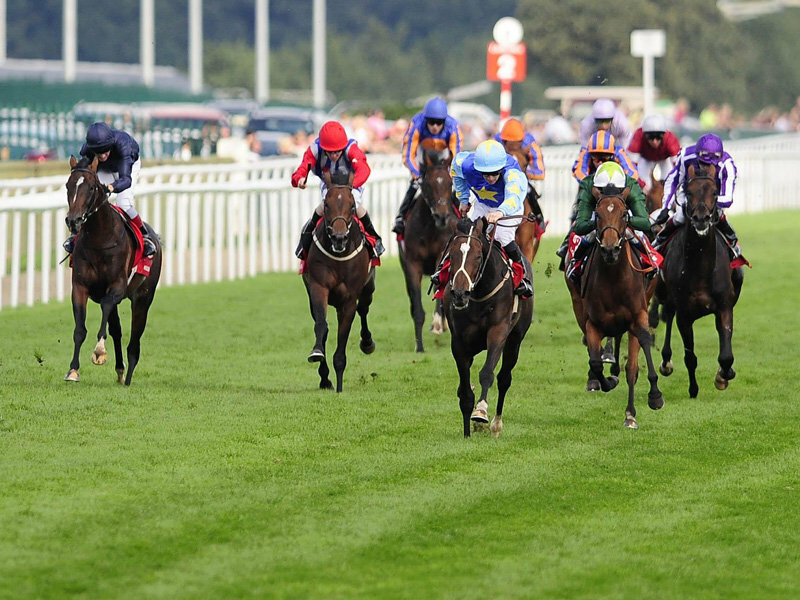 In fact, David Simcock’s 5-year-old finished two places and 2½ lengths ahead of Basil Berry in the Wokingham Stakes and is just 1lb worse off. He may not be as well drawn as Basil Berry this time, but his fourth of seventeen, beaten just 1¼ lengths, behind Rene Mathis in the Bunbury Cup, over 7 furlongs at Newmarket three weeks ago was another solid effort and he should be thereabouts once again. So, in order of preference, our three against the field this week are Poyle Vinnie (16/1 generally available), Related (18/1 with Bet365) and Basil Berry (33/1 generally available). Good luck! 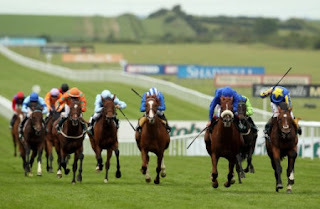 The Land Rover Stakes (2.05) at Goodwood on Thursday is a tight little heat, and not so ‘little’ either, with eighteen runners set to face the starter over the undulating 1 mile 1 furlong and 92 yards at the West Sussex track. Nevertheless, it does provide us with an opportunity for a midweek ‘tilt’ which, as regular readers know, we always find difficult to resist. The one that immediately takes our eye is Richard Fahey’s Spring Offensive (33/1), who may have had excuses on his two most recent starts and looks feasibly weighted on his best form. The Iffraaj gelding didn’t help his chance by hanging at Sandown two starts ago and took a keen hold when only fifth of six, beaten 1¾ lengths, behind Intiwin at Ayr last month, but is just 3lb higher in the weights than when just touched off in a 0-100 contest, over a mile, on his reappearance at Musselburgh in April. He wasn’t beaten far at Ayr and the form has already been franked by the third, Get Knotted so, provided the extra two furlongs isn’t beyond him, he could go well at generous odds. He’s actually yet to win beyond 7 furlongs, but seems to get a mile well enough, so he appears to have every chance of staying the extra distance on a course that is fairly sharp in character. The Gigaset International Stakes, run over 7 furlongs at Ascot, has produced no winning favourite in the last ten years and winners at 40/1, 33/1 (twice), 25/1, 18/1, 16/1 and 14/1 in the same period, so definitely looks a race in which we have a chance of extending our recent run of good fortune. Notably, five of the first six finishers in the Bunbury Cup at Newmarket a fortnight ago reoppose but, with the exception of Heaven’s Guest (14/1), none of them have much in the way of course form, so it may be judicious to look elsewhere for this week’s selections. The first one that takes our eye this week is the complete ‘rag’ Sir Robert Cheval (40/1). Marco Botti’s 4-year-old has yet to win on turf, but has run creditably on all three starts this season and doesn’t look impossibly handicapped on his best form. Indeed, the Green Desert gelding is 7lb better off for 2¾ lengths with Zarwaan (14/1) on their running at Newcastle four weeks ago but is, mystifyingly, available at nearly three times the price. Apprentice Marc Monaghan takes off a useful 3lb and the partnership is well drawn in stall 26, if recent results in the race are anything to go by. Another ‘rag’, Nakuti (40/1) appeared to put up something approaching a career-best effort when winning the Listed Pipalong Stakes, over a mile, at Pontefract earlier this month and looks fairly treated under a 3lb penalty. The fourth at Pontefract, Rekdhat, was only just touched off in a 0-100 fillies’ handicap last Saturday, off a mark of 91, so there is reason to believe that Nakuti, who had 6¼ lengths in hand, has been underestimated by the bookmakers. Her three career wins have come on good or softer going but, with persistent, heavy rain forecast for Friday afternoon, she could well be in her element. Veteran Hawkeyethenoo (22/1) was, unsurprisingly, taken off his feet over 5 furlongs at Musselburgh when last seen six weeks ago, but his previous third of twenty-six, beaten 2¾ lengths, behind Speculative Bid over course and distance in May suggested that he may have a major handicap victory left in him. Jim Goldie’s 9-year-old is 8lb better off with the winner this time (and 8lb lower in the weights than when winning the Stewards’ Cup at Goodwood three seasons ago), so you ignore the old boy at your peril! So, in summary, this week’s selections are, in no particular order, Sir Robert Cheval (40/1 with Bet365 and William Hill), Nakuti (40/1 with William Hill) and Hawkeyethenoo (22/1 with Stan James). Good luck! In the Novus Stakes (8.00) at York on Friday, Chiswick Bey has been beaten, but not disgraced, on both starts since winning in 0-90 company over 7 furlongs at Musselburgh last month and remains feasibly weighted for a return to the winners’ enclosure. Indeed, the Elusive City gelding in just 1lb higher in the weights than at the East Lothian track and, while he has yet to win over a mile, has shaped as if a step up in distance might do him some good on recent starts. 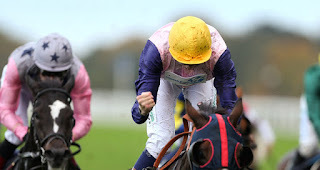 His two most recent wins came under apprentice Samantha Bell, who rides stable companion Simply Shining, but he might just benefit from the stronger handling of stable jockey Tony Hamilton, who’s riding quite close to his minimum weight of 8st 7lbs. The Knavesmire isn’t always the easiest place to execute hold up tactics, but Chiswick Bey was placed on both previous visits (albeit a few years ago) and the fact that he’s (presumably) Tony Hamilton’s choice of Richard Fahey’s three runners speaks strongly in his favour. We've had a great couple of weeks here at Outsider. On July 11th Rene Mathis was highlighted as an outsider in with a shot in the Bunbury Cup at 25-1. It ended up winning at an SP of 16-1. Then on Friday at the 17:40 Hamilton, Poyle Vinnie was presented as our only outsider pick and it romped home at an impressive SP or 22/1. Today Lathom was one of our picks for the 15:45 Weatherbys Super Sprint at Newbury finishing first at 28-1 SP. Be sure to keep an eye on our selections next week too. Hopefully we'll continue our winning run! The Weatherbys Super Sprint, run over 5 furlongs and 34 yards at Newbury, has produced three winning favourites in the last ten years, but also winners at 100/1, 25/1 and 20/1, such that the average starting price of the winner in that period is approaching 18/1. This year, Tim Easterby saddles four runners, Richard Hannon saddles six and Richard Fahey saddles seven, so the race presents an intriguing puzzle for punter to solve. Mark Johnston, who has plenty of strength in depth in the juvenile division this year, saddles just one, the twice-raced Royal Applause filly Hawatif (12/1). 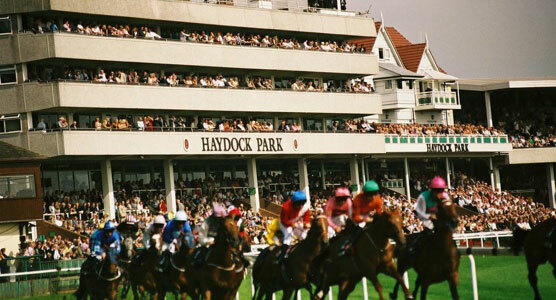 The winner of the Haydock maiden in which she finished fourth, beaten 2 lengths, on her debut in June, Blue Bayou, has since been beaten a nose and a short head in the Group 2 Duchess of Cambridge Stakes and Hawatif herself has since won her maiden at Carlisle by 6 lengths. She obviously takes a significant step up in class, but Silvestre De Sousa has a 7-28 (28%) strike rate on Mark Johnston’s juveniles so far this season, so the partnership must be feared. Tony Hamilton has ridden more juvenile winners for Richard Fahey than any other jockey this season, so his mount Lathom (28/1) seems the natural place to turn for the pick of the Musley Bank trainer’s septet. The son of Compton Place was well beaten, but not entirely disgraced, in the Windsor Castle Stakes at Royal Ascot last month, but his earlier second, beaten 1¼ lengths, behind subsequent winner First Selection (now rated 95) in a conditions stakes race at Beverley in May suggests his chance may not be as forlorn as his odds imply. Quick And Quirky (20/1) could make no impression on Gifted Master in the closing stages at Newcastle, over six furlongs, last month, but the winner had previously been beaten just three-quarters of a length, at level weights, by subsequent Coventry Stakes winner Buratino, so there was no disgrace in that. The drop back to the minimum trip is something of an unknown but, even so, this outsider and daughter of Lilbourne Lad may be worth a punt. A 25-runner sales race for juveniles probably warrants minimum stakes, but for anyone who fancies a ‘tilt’, our three against the field this week are Hawatif (12/1 with Paddy Power), Lathom (28/1 with Bet365) and Quick And Quirky (20/1 with Sky Bet and Stan James). Good luck! Here's hoping that some of you lumped on our Bunbury Cup selection last week. It's always good to find a nice priced winner! The John Smith’s Scottish Stewards’ Cup (7.40) at Hamilton on Friday, is always well contested, as might be expected of a sprint handicap worth in excess of £20,000 to the winner. Sixteen runners are set to face the starter, but we’ve had our eye on one that we think should go very close at a decent price. Poyle Vinnie officially improved 18lb on turf last season – plus a further 12lb on Tapeta and Fibresand during the winter – and has run creditably on both starts since returning to action at Newmarket last month. His latest fifth of sixteen, beaten just 1 length, in a 0-95 contest over 5 furlongs at York last week suggested his turn wasn’t far away and he may be capable of winning in 0-105 company for the first time. The Piccolo gelding has yet to win on going softer than good but, while the going at Hamilton is currently good to soft, dry, bright weather is forecast for Strathclyde for Wednesday and Thursday, so he may well have his favoured conditions. In fact, notwithstanding a poor run on heavy going on his seasonal reappearance at Beverley last season, there’s no evidence that some cut in the ground would, necessarily, harm his chance in any case. All three of his career wins on turf, including one over 6 furlongs, have come on testing tracks, so he should appreciate the severe hill to the finish at Hamilton. The Bunbury Cup, run over 7 furlongs on the July Course at 15:15 Saturday 11th at Newmarket, is a specialists’ event that often attracts the same horses year-after-year. In fact, the last two winners, Heaven’s Guest (16/1) and Field Of Dream (25/1) are among those who return for another crack at the £120,000 in guaranteed prize money. Neither should be dismissed out of hand, but for our selections this week we’ve turned to a couple of runners who like to race on, or close to the pace, which is often a desirable characteristic on the July Course. Rene Mathis (25/1) has recorded both his career wins on turf on the July Course, including over course and distance last May and although well beaten in the Wokingham Stakes, over 6 furlongs, at Ascot three weeks ago he ran equally dismally in the Buckingham Palace Stakes, over 7 furlongs, at the same meeting last year. He’d previously only given best in the last half a furlong or so when fifth, beaten 3½ lengths, in a similar race at York and, back at Newmarket, he appears to have an obvious chance off the same handicap mark. Sirius Prospect (33/1) has been campaigned at or around a mile so far this season, but all his career victories on turf have come at 7 furlongs or shorter and he races off a handicap mark just 3lb higher than when last winning a handicap on turf, at York two years ago. He was ridden very aggressively in the Royal Hunt Cup, over a mile, at Ascot three weeks ago, but weakened with a furlong to run and eventually finished out with the washing. His regular jockey Robert Winston remains absent through injury but, if his new partner Hayley Turner adopts the same positive tactics, he could go well over this shorter distance. With the possible exception of the aforementioned Heaven’s Guest, who looks a shade high in the weights and could probably do with a drop of rain in any case, it’s difficult to enthuse about anything else that falls into the “outsider” category. So, for this week, our three against the field are Rene Mathis (25/1 with Bet365, Sky Bet, Paddy Power and Ladbrokes), Sirius Prospect (33/1 with Bet365, Sky Bet, Ladbrokes and William Hill) and Heaven’s Guest (16/1 with Bet365, Sky Bet and William Hill), with preference very much for the first named. Good luck! 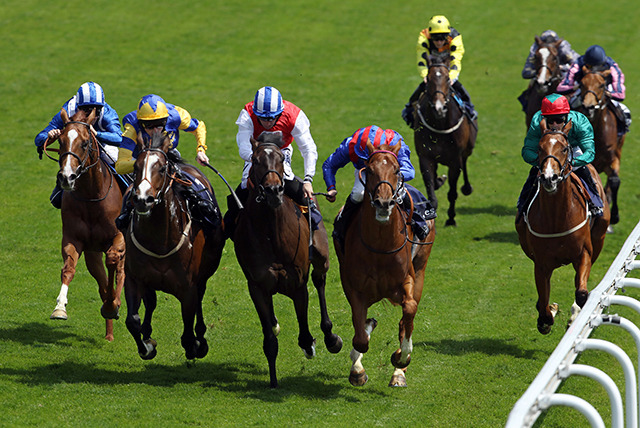 It’s not too often we have a “Heritage Handicap” to get our teeth into during the week, but the Betfred Mobile (3.45) at Newmarket on Friday is just that. Henry Candy’s progressive, unbeaten 3-year-old Twilight Son is likely to prove popular once again, so we should have plenty of room for manoeuvre at the other end of the market. Squats is 10lb better off for the 3¼ lengths he finished behind Twilight Son at York last time and, while he’s by far the more exposed of the pair, the way he kept on in the closing stages at York suggested that the final hill on the July Course would play to his strengths. The Dandy Man gelding hasn’t won since edging out Profitable in a nursery handicap, over 5 furlongs, at Ascot last September and remains 9lb higher in the weights, but shouldn’t be underestimated. Primrose Valley has just a single win, in a 0-75 nursery handicap, over 5 furlongs, at Newcastle last August, to his name on turf, so his improvement over the winter could simply be due to the switch to synthetic surfaces. However, the fact remains that he’s officially improved by 11lb since last October and is almost certainly better than he was able to show over 5 furlongs at Lingfield in April, when trapped wide on the track for most of the way. He, too, remains 7lb higher in the weights than when last winning a handicap but, if he can translate his all-weather from back to turf after 98 days, he could go well at decent odds. It’s fair to say that Outer Space, who began his career with Richard Hannon Sr., has become disappointing, but he’s still only a 4-year-old and there are reasons to believe that he retains significantly more ability than he showed when only seventh of thirteen, beaten 10 lengths, behind Musaddas on the Rowley Mile in May. The form of that race has worked out very well in any case, but the bare form may not tell the whole story. The Acclamation gelding was 3lb better off for three-quarters of a length with the winner on their running over 7 furlongs at Kempton last November, but was never really put into the race by Timmy Murphy (who was riding him for the first time and retains the ride). He may still have needed the race, on just his second start since December, but the way he stayed steadily in the closing stages to pull 8 lengths clear of the horse that finished eighth suggested that he had plenty left in the tank. If that was really the case, the handicapper may have taken a chance in dropping him 2lb in the weights. Outer Space didn’t appear to be crying out from a drop back to 7 furlongs at Newmarket, but drops back into 0-85 company for the first time since winning at Kempton last August, so has plenty going for him despite some uninspiring form figures. He’s available at 14/1 with William Hill and Betfair Sportsbook in the early price lists but, frankly, looks like a gamble waiting to happen.